Typically I am such a procrastinator when it comes to ordering our Christmas cards. I always have good intentions on getting a jump start on them but things always get busier and busier as November comes along. — But not this year! This year I’m happy to say I got them done early - and perfectly - with some help from Basic Invite. ^ Our Christmas Cards 2018 ! This was my first time using Basic Invite and I can honestly say that I was very impressed! Basic Invite has tons (over 500 actually) of Christmas and holiday card designs to choose from so the hardest part was picking my favorite design! I decided to go with a cute elf design for our unique holiday photo cards to compliment our own little elves. But what really blew me away with Basic Invite’s designs? You can customize just about every single detail! Want to make the elves’ shoes purple? You can do that, and choose from many shades of purple to boot. The ability to change all the colors on their card designs - from the background, to the text, to the details - is just incredible with over 180 color options to choose from. This feature is incredibly useful, especially for something like wedding invitations since you can customize all the colors to your exact theme. They also offer over 40 colors of self-seal envelopes to choose from too, so even your envelopes can be on-point. Basic Invite is also one of the few websites that gives customers the ability to order a printed sample of their actual invitation - that way you can see exactly how it will print as well as feel the paper quality before placing your final order. And when it comes time to place your final order, you can order exactly how many you need - that way you don’t get stuck purchasing card sets in wasteful large lots (a huge pet peeve of mine). 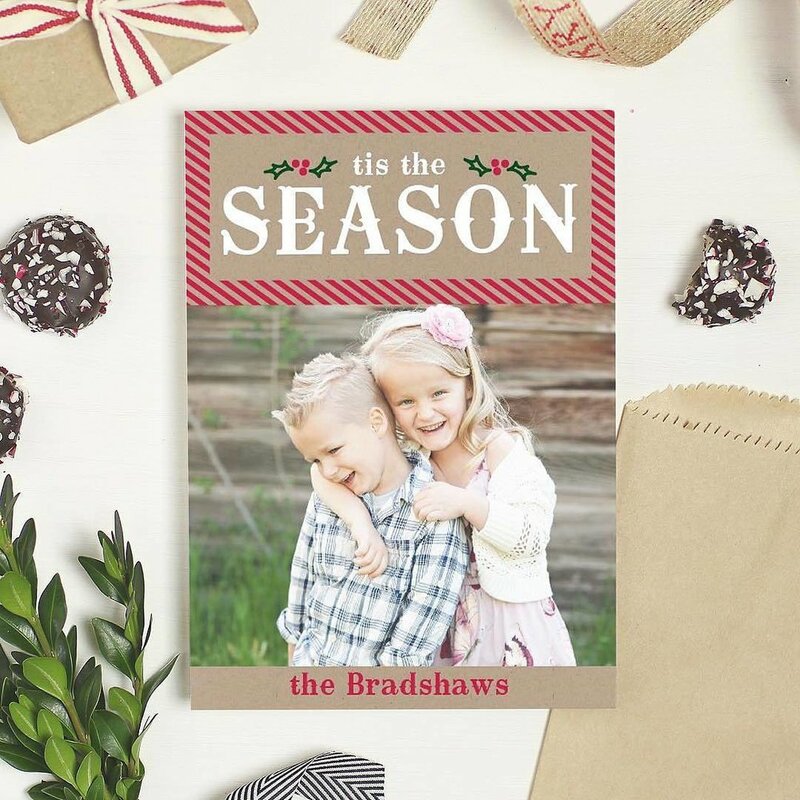 Basic Invite also offers lots of great holiday cards buisness to choose from too! Sending out cards from your business is a smart marketing move and can help boost sales and repeat business in the coming year. 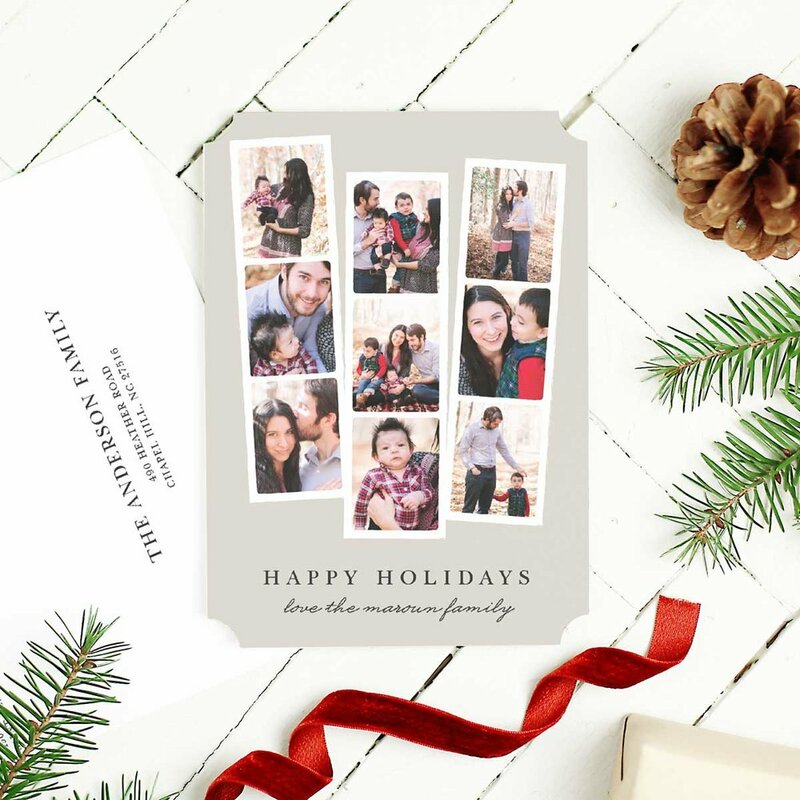 Right now Basic Invite is offering 30% off with the coupon code “HOLI30” - order now and get ahead on your Holiday cards too! It's almost that time! Are you ready for back to school yet? Christmas in July Sale! Everything in the Etsy shop (except signs) is 15% off through August 1st. Get a jump start on your Christmas shopping and stock up on ornaments now! Just use the Coupon Code "JULY2018" to get 15% off!